Guest post by Rodney Hawkins, general manager, Diagnostic Solutions, Nuance Communications. Over the past few years, we have seen the healthcare industry shift toward cloud-based services to improve workflow, patient care and access to information. In fact, a 2014 HIMSS Analytics Survey estimates 80 percent of healthcare providers use the cloud to share and store information today. 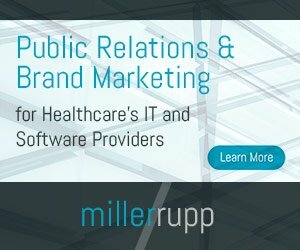 A cloud network allows physicians, referring providers and specialists at many different sites to simultaneously and securely access patient information in real-time on any Internet-connected device to provide urgent care to patients. This technology is changing how information is exchanged to meet the needs of both physicians and patients. Specifically, using cloud-based services for medical image and report sharing can be a game changer when it comes to advancements in quality of care. The best way to explain the benefits of cloud-based image and report sharing is to look at life without the cloud. For providers not using this technology, medical images are stored on a physical CD, and the patient is responsible for carrying it from facility to facility – or, even worse, providers rely on couriers and the postal service to ship discs (which takes days and delays patient care). Most physicians will attest that 20 percent of these CDs are lost, forgotten or corrupt. When this is the case, not only is all the information stored on the CD lost, but time and money is wasted having to repeat the imaging procedure. The absence of readily available images and reports creates silos of patient information within healthcare leading to costly delays and repeat testing and, limiting the quality and efficiency of care provided by teams. The most important benefit of the cloud is sharing images and reports – together – in real time across care settings as easily as LinkedIn users share information with their contacts. Physicians depend on medical images, and the diagnostic report associated with the images, to assess a patient’s needs and support decision-making. However, this process becomes complicated when exchanging information between different EHRs and systems, referring providers, clinics and other facilities. The cloud is easy. As consumers we rely on information hitting the cloud and we expect these services to make life easy as we move at lightning speed through our days. This is now making its way into healthcare. Cloud-based services for imaging and reporting that easily integrate into the EHR create a secure, central location for the entire care team to access patient information, helping them seamlessly communicate across care settings and regardless of the EHR in place. This allows physicians to view patient records including X-rays, CT-scans and other images along with reports where and when they need them, helping to quickly evaluate a patient’s condition and determine next steps prior to the patient’s arrival. Additionally, cloud-based imaging exchange virtually eliminates the costly and insecure process of managing CDs, allowing clinicians to spend more time focusing on the patient, and improving workflow and care delivery. The widespread adoption of the cloud is spurring the demand and acceptance of mobile physicians. In fact, the previously cited HIMSS survey reported 70 percent of clinicians use mobile devices to view patient information. The advent of smart devices has made access to information as easy as a tap of the finger. The healthcare industry has optimized this technology to give clinicians secure access to patient information using mobile devices, which fits their workflow perfectly as they move between care areas and consult on patient cases off hours. The healthcare industry is one of the best suited to benefit from cloud services. A recent report estimates that the use of cloud computing by healthcare providers will increase by 20 percent each year, and these organizations will spend $5.4 billion for cloud services by 2017. Cloud-based medical imaging exchanges will certainly comprise a large portion of cloud investments and utility. While the healthcare industry continues to shift away from on-premise systems, I predict the quality of patient care will improve as mobile and cloud technologies make care faster and more cost efficient to provide. Improving communication across silos of care not only creates better relationships between hospitals and referring providers, but also reassures the patient that they are receiving the best possible care – a goal of all members of the healthcare ecosystem.